Our recent review of gruum personalised shaving kits taught us that each guy is very different when it comes to trimming and maintaining that facial fuzz. Although we enjoyed testing the wet razor and lotions, sometimes what you really need is a gadget that just works fast to make your gorgeous mug as smooth as a highly polished baby's bum. To that end we review the Braun Series 3 ProSkin 3040s. The headlines here are that this is a surprisingly affordable Braun rechargeable shaver that can be used in the shower and that has been designed to capture more beard hairs on the very first stroke. We've reviewed a few Braun shavers now, and are always happy to see one for under £100 - which this one is. Just. The Braun Series 3 ProSkin 3040s is slightly smaller and more compact that others we've seen from Braun in the past, and the box ships without any fancy charging dock. You get the shaver itself, a charging cord (not USB, unfortunately), a tiny little brush for cleaning it, and a clear plastic guard to protect the head in transit - as well as the on button, which is pretty genius. So no more suspicious vibrating objects in your bags when you travel. 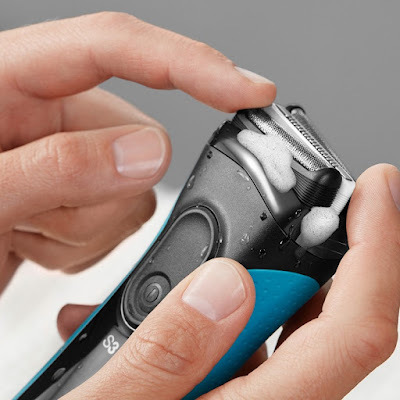 The main head is up front and flexes and bends very comfortably when drawn over the face, and it also features Braun's MicroComb design which enables more hairs to be swept into the blades, therefore reducing the number of passes you need. There are two SensoFoil-covered blades, and a trimmer in the middle of the head. And yes, you can fully submerge it all to wash out all your trimmings. On the back you'll find the precision trimmer for edging your beard or stubble. One thing we noticed is that you need to press down a little button in order to slide the trimmer up and activate it, and this we found a little tricky, especially with wet hands. It seems stiffer than other Braun precision trimmers we've tried, although - once again - it means it can't deploy accidentally in your bag and be snapped off. Swings and roundabouts, eh? 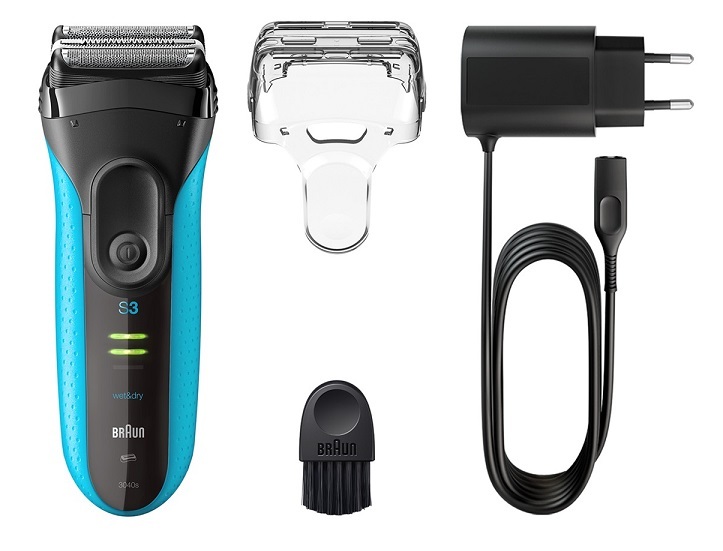 Instead of a digital display on the shaver itself, indicating the amount of charge remaining, the Braun Series 3 ProSkin 3040s utilises three simple LED lights which go out as you drain the juice. A charge of one hour will result in about 45 minutes of shaving. So, depending on how often you shave, one full charge could see you right for a couple of weeks away without the need for the charging cable. Another reason why this is a perfect travel shaver. Any electric shaver that lets you use foam, soap and water while shaving is going to get full marks from us, as shaving in the shower is just far more comfortable and results in less soreness afterwards. Also, thanks to the fact that the Braun Series 3 ProSkin 3040s seemed very good at cutting more hairs first time round, irritation following a shave was lessened. This improves comfort and the overall experience of shaving with it. All in all, a great shaver. 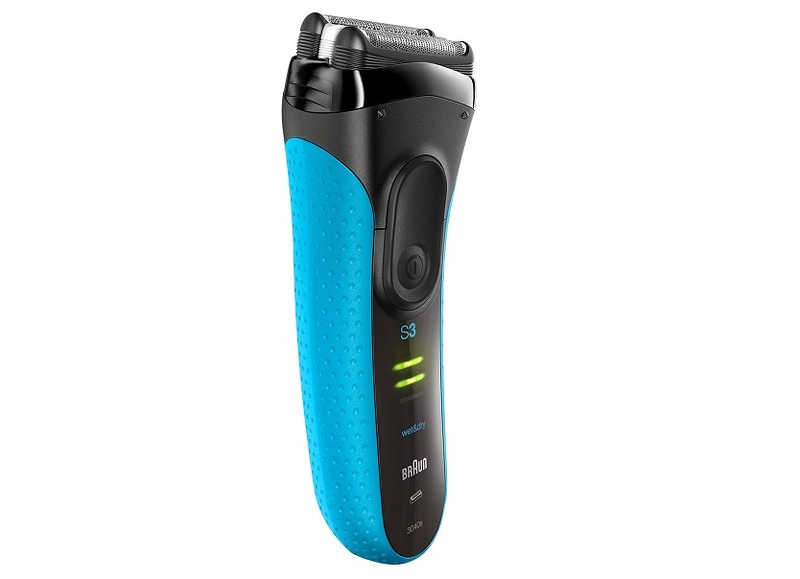 The Braun Series 3 ProSkin 3040s seems to fill the roles of both a great travel shaver, and also of your main bathroom tool. We love the flexing head with the MicroComb design and the fully waterproof body. Plus, affording it won't require a re-mortgage.